Advanced zero-turn technology is just the start of the innovations that make the Mustang 50 XP zero-turn riding mower an amazing asset in larger yards. 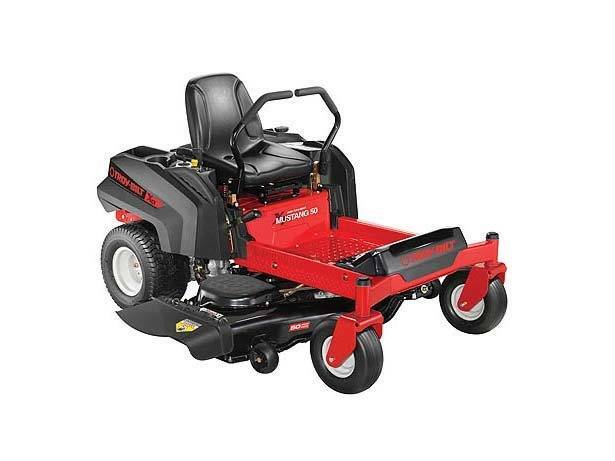 The wide 50 inch mowing deck cuts your lawn care time down considerably to about 2-1/2 acres an hour! The Mustang 50 XP zero-turn mower features include a reinforced heavy duty frame and front axle, a 25 horsepower Kohler® Twin Courage® engine and electric PTO. Front Caster - 13 x 5-6 in.